Dental technology has seen many advancements over the past several decades, including in dental materials. Thankfully, scientists show no signs of slowing down. 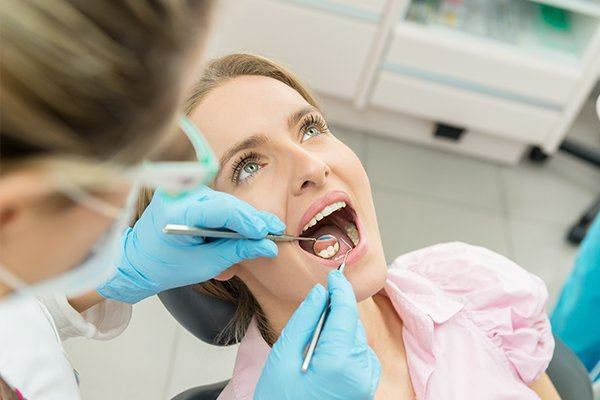 Dental researchers at the University of California in Los Angeles have been developing nanodiamond-reinforced gutter percha to reduce the risk of infections and prevent tooth loss after root canal therapy, as reported by ScienceDaily. With clinical trials underway, dentists may soon have even stronger materials to work with when performing restorative treatments. It’s this kind of research and development in dental materials that brought us a new standard for restorations: the all-porcelain crown. This crown is a far cry from the porcelain-fused-to-metal varieties that you may already be familiar with. By staying committed to the cutting edge, Pelican Landing Dental can confidently provide patients with restorations that keep function and aesthetics in mind. While it will take a few more years for nanodiamonds to reach the market, you can rest knowing that the crowns, veneers and fillings you receive at our practice only represent the best materials available in dentistry to date. Porcelain-fused-to-metal (or PFM) crowns were meant to be the perfect compromise for those seeking the strength of a metal crown without sacrificing appearance. While PFM crowns were ideal for long-term protection, they failed to deliver when it came to appearance. After a PFM crown was placed, patients would often lament the noticeably black margin that appeard at the gum line over time. 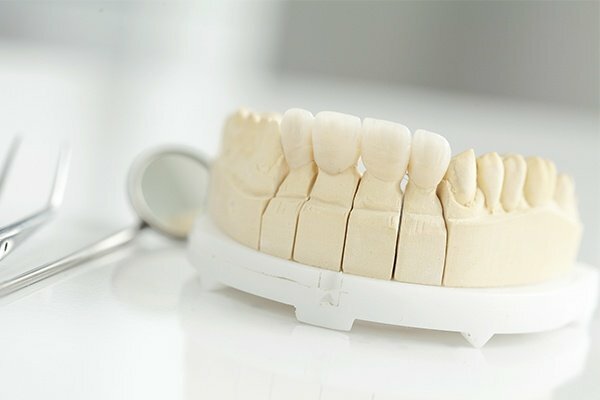 In contrast, all-porcelain crowns use a solid block of durable ceramic that matches your current smile’s shade, while still offering long-term durability you’ve come to expect with crowns. When you need a tooth capped and want to make sure your smile looks natural, all-porcelain crowns provide the most comprehensive solution. In the late 1920s, veneers were used by actors in Hollywood to briefly give the appearance of perfect teeth. However, it would be another 10 years before their inventor would adhere them to teeth using denture adhesive. 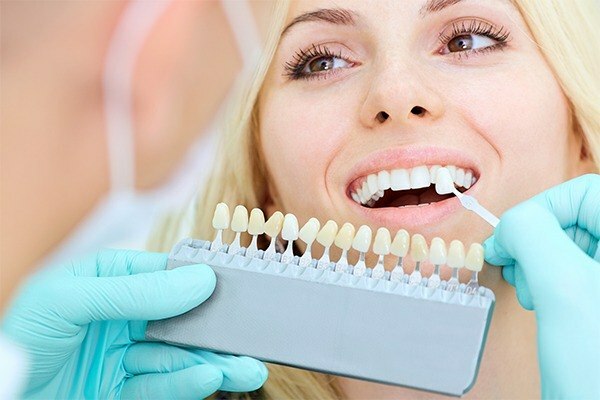 Fast-forward to today and you can now get veneers that not only adhere better to teeth, but use the same porcelain material you’d expect from all-porcelain crowns. Their natural appearance reflects light almost identically to real tooth enamel, making them an ideal option for those trying to cover discoloration, chips, cracks and gaps in their smile. If you’re an older patient, you’re probably familiar with (or have) silver (amalgam) fillings. Silver fillings were the standard for many years because of their longevity, but now we know that not all patients can (or should) use them for fillings any longer. At Pelican Landing Dental, saving and restoring teeth is a very high priority. With the help of composite resin, we can now fill cavities without significantly modifying your current smile’s appearance. What’s even more exciting is the fact that we can do so far more effectively compared to silver fillings. This is because composite resin is considerably more malleable than silver, making it easier to place and mold inside of damaged teeth without resorting to permanent enamel removal. 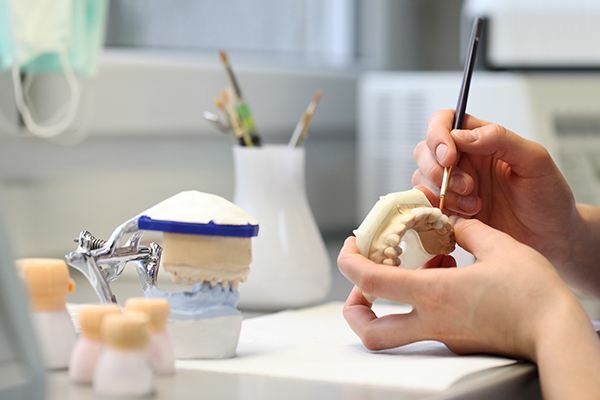 Whether you need a crown, veneer or filling, know that by visiting our practice, you’re only getting the highest-quality materials and the most up-to-date methods for restoring teeth. If you know a family member who needs to have their restoration replaced, don’t hesitate to connect them with our office. We’ll make sure that they get the best restoration that meets their needs!